Can someone please tell me how to calculate the ground state oxidation potential (GSOP)? I understand that according to Koopmans' theorem, the negative of HOMO can be considered as the GSOP. Is there any other way to calculate GSOP? Also, are GSOP and ionization potential same? Typically, when people discuss the "oxidation potential," they're considering electrochemistry, so there's solvent around. Keep this in mind if you're trying to compare a calculation done in gas phase - the best comparison would be with an appropriate solvent calculation, although calibrating between a calculation and an experimental electrochemical potential requires work. On the other hand, ionization potential is typically used for a gas phase measurement - for example, with XPS or UPS spectroscopy, where an electron is removed from a species. 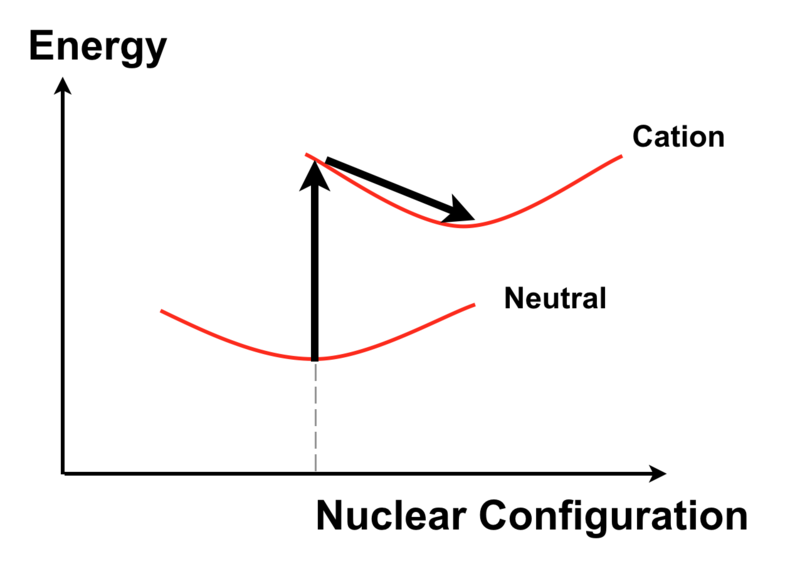 Finally, there's a difference between the vertical ionization potential when an electron is ripped out of a species, but the cation hasn't had time to relax (change geometry) and the adiabatic ionization potential, which is the difference of energy between the neutral and the relaxed cation. 1) Optimize the geometry of the neutral species using an accurate method. Subtract the total energies and convert to your unit of choice. Not the answer you're looking for? Browse other questions tagged quantum-chemistry theoretical-chemistry density-functional-theory ionization-energy or ask your own question. After a unitary transformation, is Koopmans' theorem still valid?